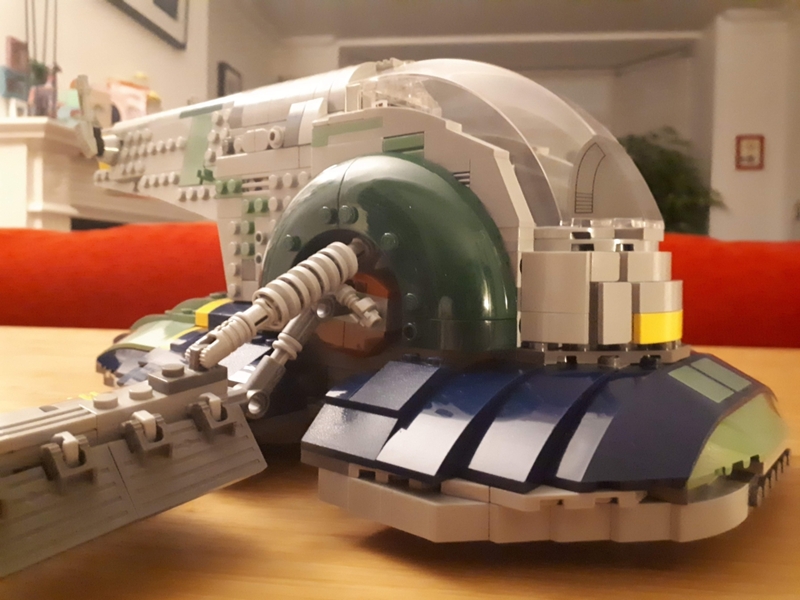 I was reading the comments on the leak of the new Boba Fett Slave 1 and saw that a lot of people wished it were Jango's. 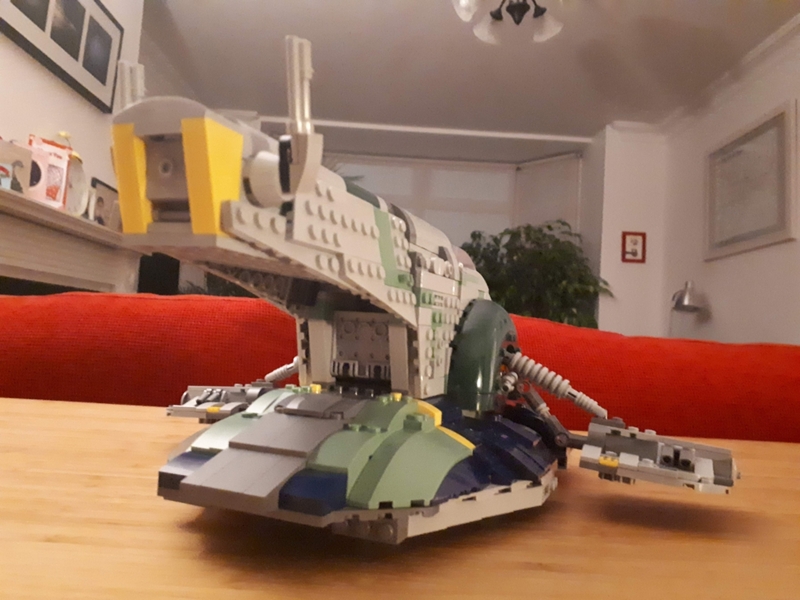 Since I own 8097 I thought I would try to modernise it a bit and turn it into Jango's at the same time. 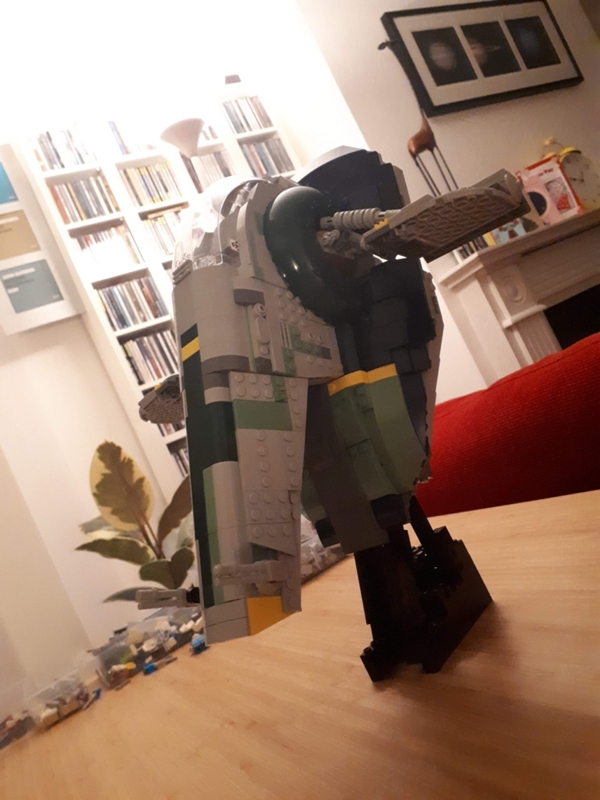 I was helped by the fact that bizarrely some of the pieces of 7153 turned up some time ago in my parents' house despite me never owning it! Thanks to Rich Peperell and Peter for their designs which I copied and used for inspiration. I am not a master builder or photographer, this was just me having fun. Nice model! 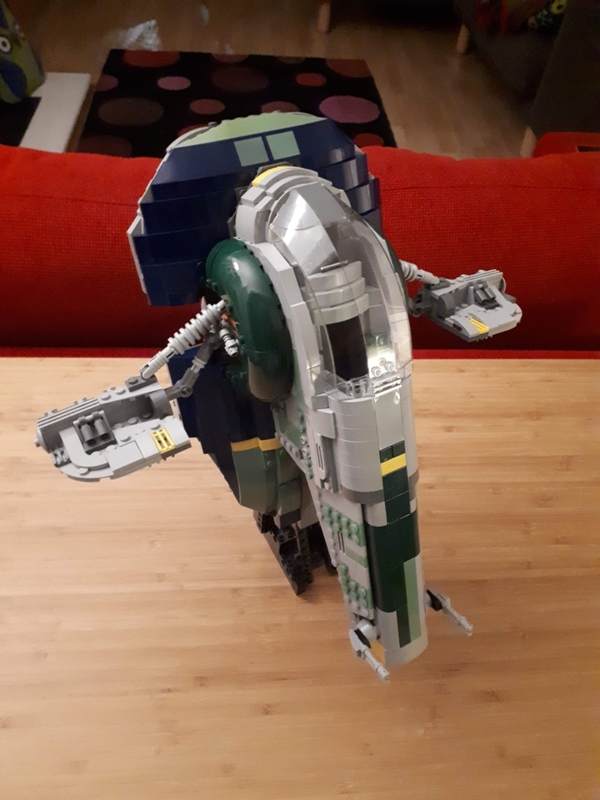 I'm personally biased towards Jango' Slave I models just because they come rarely, but this is really good looking one. And I wish such bizarre things were happening to me :D Usually it goes the other way. Great model! Makes good use of snot on the underside! 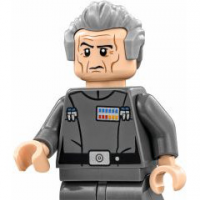 It looks kinda similar to the UCS! This is really well done, especially the underside. Recolour mods are some of my favourites because they're so simple yet can really breathe new life into an old model. Thanks Reaper, what a nice thing to say! I usually just build with the parts that I have. But I found buying one or two Brickheadz is a great way of stocking up on snot bricks. The problem is my son is always dismayed at me taking apart perfectly cool Brickheadz just to use the bits! Thanks Drongo, you're right. There are also some great other colour schemes for Firespray Class ships available on the internet, aren't there? As a child I used to do lots of sketches of Formula 1 cars with different colour schemes and sponsors. Same fun idea. 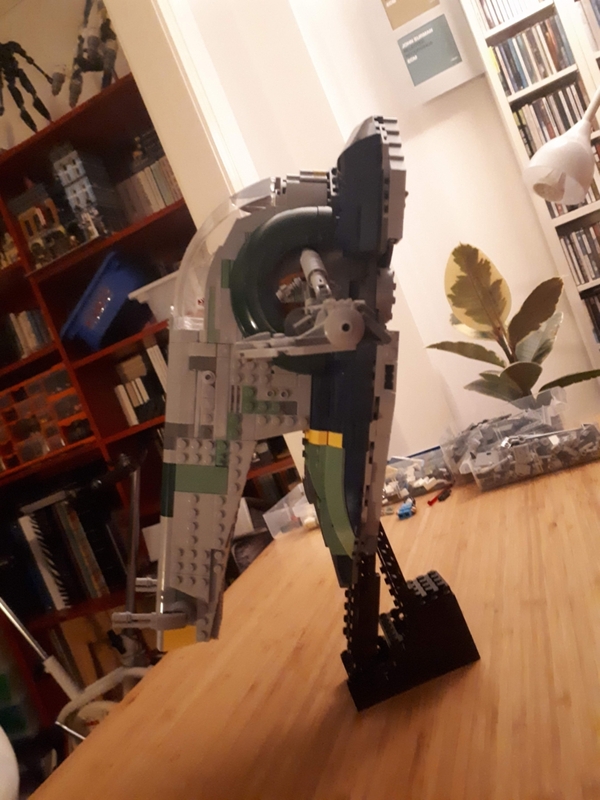 I like it, didn't know it was possible with little parts to convert the set into something so much more pleasing! Nice, I really like it! I have always wanted the original and was too young to buy it back then. 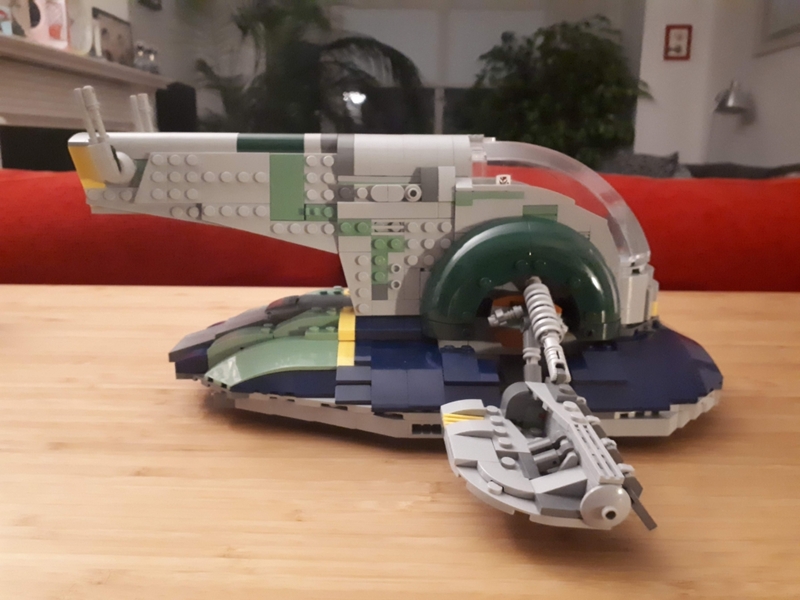 I just bought some of the original parts off bricklink, to start my own. That's great. I'm sure yours will be slicker than mine! Looking forward to seeing pictures. 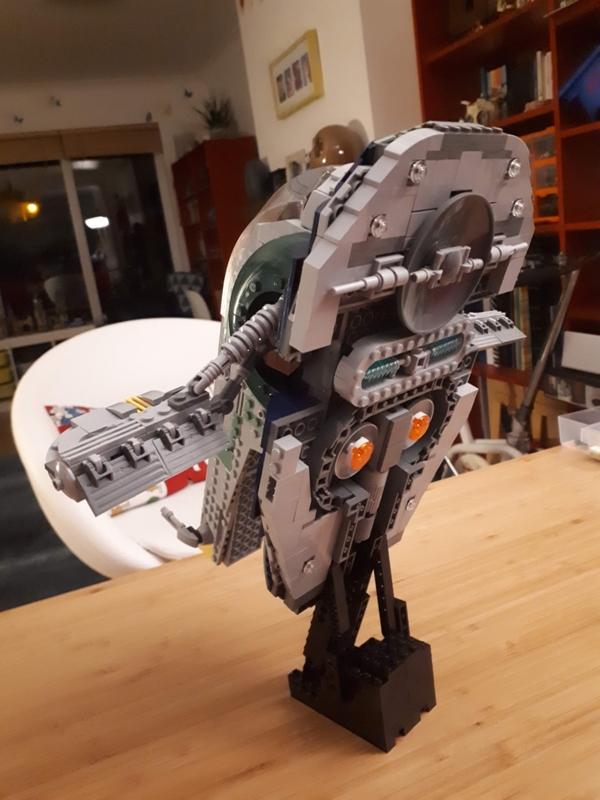 It's very important to make swooshing noises and hum the Kamino music while you're building it. 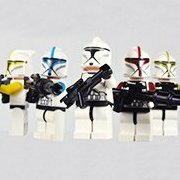 it will feature more similar to the UCS Slave, so it may be a bit slicker. Yours is very sleek itself! lol. I will have to think back to what that even sounds like. Im just thinking the "pew pew pew" noises, when it's shooting at Obi Wan. this looks great. whats next?